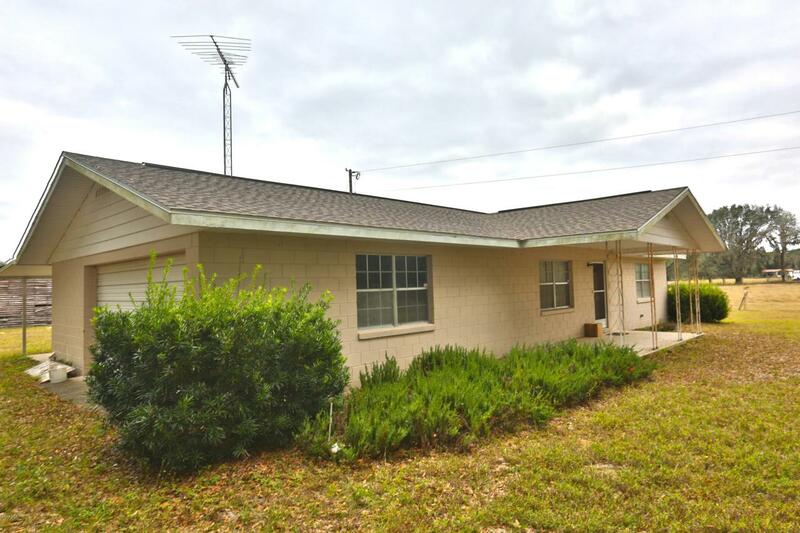 Shaded By Beautiful granddaddy oaks this charming 2 bedroom 2 bath home, 1,204 square foot, 2 bedroom 2 bath single family with garage sits on 20+/- acres. Great location close to the Marjorie Harris Carr Greenways & trails and the Florida Horse Park. Property is zoned A-1 and is perfect for horses or cattle.